Scandinavia has a reputation for being home to liberal democracies where freedom and individual rights abound. But sadly, this is no longer as true as it once was. We have written in the past about the expansion of online surveillance powers in Sweden and sweeping new surveillance powers also being introduced in neighbouring Norway. We have also told the tale of how Danish companies are selling surveillance equipment to Communist China. Finland too has proposed its own intrusive surveillance laws, as we reported back in 2017. Two years on, these laws have finally been passed into law and in a surprisingly undemocratic way for a country like Finland. Earlier this month, Finland’s Parliament of Åland approved two sweeping new surveillance laws. But they did so at a time of domestic political upheaval which meant the new laws received little or no scrutiny before they were waved through by the Parliament. Before we look into the circumstances behind their approval, let’s examine exactly what the new laws contain. According to the Finnish website YLE, the laws allow the Security Intelligence Service (Supo – the civilian intelligence service) and the Finnish Defence Forces (FDF – the military intelligence service) to expand their eavesdropping powers on both phone calls and network data to unprecedented levels. The new laws give both agencies the power to hack messaging services and crack encryption to enable them to read the contents of messages between anyone considered to be a potential threat to national security. When this legislation was proposed back in February, the Finnish government argued that it was essential for protecting national security. It is a message that will be familiar to anyone who has followed the implementation of similar laws in the UK and elsewhere. Terrorism was, of course, cited as a factor as well as the threat of espionage from foreign states. Finland does admittedly share a long and rather turbulent border with Russia. But little real evidence of the need for these intrusive new powers was given to back up these assertions and critics have suggested that the new laws are far more a case of the Finnish Government jumping on the surveillance bandwagon rather than actually having a real need for them. In October of 2018, the Finnish Parliament voted by a margin of 178-13 to add an exception to the constitutional right to privacy to facilitate the implementation of surveillance legislation of this kind. However, after this legislation was proposed back in February, it was quickly delayed because there was just one month left in the Parliamentary term and there were suggestions that the new powers would need further constitutional changes. But, any constitutional reservations seemed to go out of the window on 8thMarch when Finnish Prime Minister, Juha Sipilä, resigned. On the same day, with the opposition party distracted by the news, all of the most controversial elements of the new surveillance law were approved by Parliament. Even worse, they were scheduled to come into law on the following Monday, giving the opposition party less than a week to raise any concerns and objections. With Finnish politics thrown into turmoil by Sipilä’s resignation, it will come as no surprise to learn that no objections were raised and the laws were passed this Monday in a near-empty plenary chamber of the Finnish Parliament. They were not even subjected to a vote. How will Finland tackle the consequences? It was very much a case of using bad news as a way to bury even worse news. But the consequences of what appears to be very cynical political manoeuvring by Finland’s governing party could be profound. The people of Finland now appear destined to be subjected to some of the most overbearing surveillance laws in Europe. That is not done and dusted yet as the laws do still need to be signed off by Finland’s President. But this is usually a foregone conclusion. Once they do come into law, the surveillance regime is almost certain to be challenged in the courts. But this is a process which could take years and has no guarantee of success. While the legal arguments are debated, the regime will already be in place and Finnish online freedoms being seriously violated. 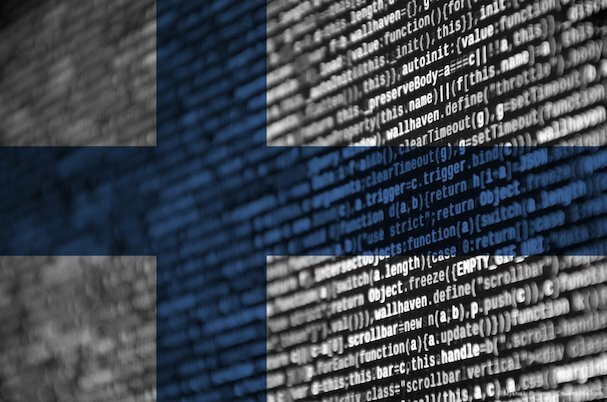 Many Finnish people are likely to take matters into their own hands and turn to a VPN to protect their online privacy and security and stop the Finnish state from being able to access their confidential online data. By signing up to a VPN such as ExpressVPN or IPVanish, Finnish internet users can ensure that everything they do online is protected by military-grade encryption. They can also use providers like these with confidence knowing that they keep absolutely no user logs. In other countries around the world, laws like these have always resulted in a big spike in VPN usage. Such a trend seems certain to be seen once more in Finland, whose reputation as a liberal democracy is also set to take quite a kicking in the coming months.